North Rockhampton Uniting Church — North Rockhampton UCA reaches out! North Rockhampton UCA reaches out! Service at The Caves, in the CWA Hall starting at 10:30am on 3rd Sundays in March, June, September and December. God’s people at North Rockhampton Uniting Church extend to you a warm welcome and offer love and friendship. We participate in different worship styles, belong to all sorts of groups and organisations within the Uniting Church in Australia, but what we have in common is more important than our differences. We are one in our loyalty to the God revealed in Jesus, we believe the Bible and we desire that the Good News of the Gospel be shared as widely as possible. 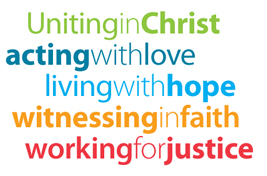 Serving God through Christ in Church and Community.